COMMENTS ON INDIAN COMPANY LAW: Why You have to become an Insolvency Practitioner? 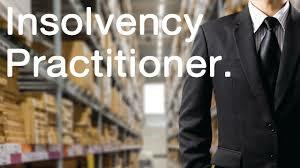 Why You have to become an Insolvency Practitioner? 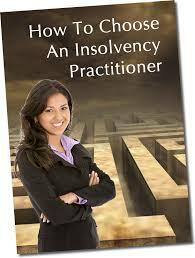 Insolvency is possibly the most demanding career option a professional can undertake. It is certainly one of the most challenging, involving and rewarding. Insolvency practitioners can find themselves running businesses, constructing and negotiating deals or investigating and advising on the viability of a business and its restructuring (and, sometimes, the integrity of its directors). The work of the insolvency practitioner affects the lives, prospects and livelihoods of both creditors and debtors. Insolvency work is as much about people as it is about figures. Insolvency practitioners need the skills to deal with creditors, anxious directors, concerned employees and a range of other stakeholders in the business. The insolvency scene is always changing. Even in these cases, often regarded as the ‘end of the line’ for businesses, imagination and determination are still needed to preserve as much of the business (and its associated jobs) as possible, or as a last resort to get the best possible price for its assets. Even where a formal insolvency procedure is necessary, in many cases a positive approach to the rescue of businesses and jobs can be taken through the application of administrations, administrative receivership and voluntary arrangements. In the current environment, with personal debt at record levels, it is vitally important individuals get the correct advice about the options open to them to resolve their difficulties. As licensed insolvency practitioners are trained in all aspects of the law and procedure, they are best placed to provide that advice and only they can act as supervisors of individual voluntary arrangements or as trustees in bankruptcies. The profession will be able to rescue increasing numbers of jobs and businesses in recent years, both because of legislative changes and the changing attitudes of creditors. Overall, some 20 per cent of insolvent businesses are rescued in part or as a whole and one in every six insolvent individuals enters a voluntary arrangement as an alternative to bankruptcy. Just like a person requires treatment to treat his disease, a sick company also requires some form of treatment to overcome its problem of debts. This treatment may be in the form of restructuring of a company. Restructuring is the corporate management term for the act of reorganizing the legal, ownership, operational, or other structures of a company for the purpose of making it more profitable, or better organized for its present needs. Alternate reasons for restructuring include a change of ownership or ownership structure, de-merger, or a response to a crisis or major change in the business such as bankruptcy, re positioning, or buyout. Restructuring may also be described as corporate restructuring, debt restructuring and financial restructuring. There are a broad range of opportunities that arise from corporate insolvency and financial restructurings. 1. Spotting and evaluating distressed companies for restructuring and rescue planning. 2. Reviewing the various risks involved in restructuring. 3. Developing risk mitigation strategies. 4. Working out a detailed bankable financial structure of the business. 5. Working out a detailed plan for restructuring the business from all angles. 6. Assessment of distressed assets, cash position, due diligence and turnaround feasibility. 7. Advice on optimum utilization of resources. 9. Representation and registration of sick companies with BIFR. 10. Representation before the Debt Recovery Tribunals. 13. Advisory in relation to a merger or acquisition or takeover. 14. Advisory services to management on an ongoing basis. What is the role of insolvency professional? He/She takes up matters relating to insolvency of individuals, partnerships and liquidation of companies. He advises and monitors his clients in matters related to insolvency, bankruptcy and liquidation. How many insolvency professionals does India need? Though there isn’t any clear number, the IPA’s estimates that more than a lac cases relating to insolvency, bankruptcy and liquidation are pending and from now only insolvency professionals can handle these cases. Less than 100 insolvency professionals have been enrolled till now. Enrollment of insolvency professionals has been started from December 1. The New Insolvency and Bankruptcy Code, 2016 stipulates the maximum time to be taken to liquidate a company to 180 days with an one time extension of 90 days, while earlier it used to take at least four years for the same. With the new law, arises the new opportunities for youth in the form of insolvency professionals. To cater to the huge insolvency and liquidation market and produce insolvency professionals, The Institute of Chartered Accountants of India (ICAI), The Institute of Company Secretaries of India (ICSI) & The Institute of Cost Accountant of India (ICWAI) has been given recognition as an Insolvency Professionals Agency. Data from World Bank show that the number of years taken to resolve insolvency in major economies such as the US, the UK and China are 1.5, 1 and 1.7 years, respectively, in 2016. For India, the same is 4.3 years. According to officials, the bankruptcy code is a complete departure from the earlier Sick Industrial Companies (Special Provisions) Act, 1985, where there were delays in resolution of cases. "When decisions are taken in a time-bound manner, there is a greater chance that a corporate entity can be saved as a going concern and productive resources of the economy (labour and capital) can be put to best use," a finance ministry statement said. What qualifications do you need to practice as insolvency professional? a. has passed the National Insolvency Examination. b. has passed the Limited Insolvency Examination, and has fifteen years of experience in management, after he received a Bachelor’s degree from a university established or recognized by law. (i) a chartered accountant enrolled as a member of the Institute of Chartered Accountants of India. (ii) a company secretary enrolled as a member of the Institute of Company Secretaries of India. h. No workbook or study material will be provided. c. The enrolment for examination will be open from 15th December, 2016.
f. A candidate needs to pay examination fee of Rs.1000 (Rupees one thousand only) online on every enrollment.